This video from Mike Adams, the Health Ranger, describes how to make your own Mini-Farm Grow Box using common parts and tools. Part 1 of this video features an introduction to the Food Rising Mini-Farm Grow Box and why learning how to grow your own food can dramatically improve your health, lower your grocery bill and possibly even save your life. All downloadable files & how-to videos are free to Food Rising subscribers. 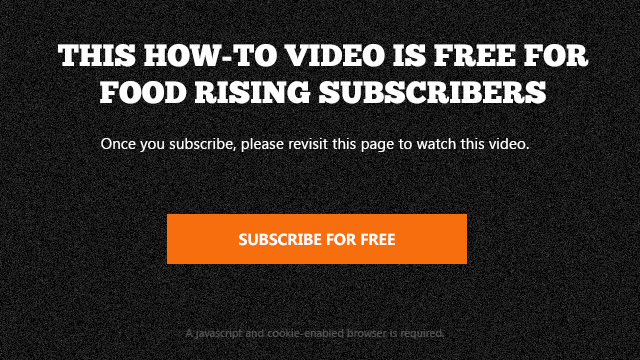 If you would like to be a Food Rising subscriber (100% Free), please subscribe using the form below. Once you have confirmed your subscription please return here to access this content. Once you click submit, we will send you an email asking you to confirm your free subscription. Your privacy is assured and your information is kept confidential.